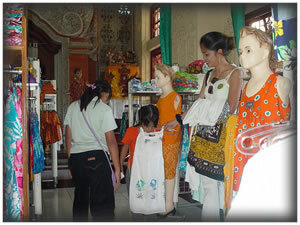 Every day, Batik craft Galuh place is always crowded visited by local and foreign tourists. This is because the kind of Batik which provided very diverse. Ranging from Batik shirts men, women Batik shirt, sandals and a variety of bags batik, souvenirs and handicrafts made from wood and patterned Batik sculpture Galuh. For you lovers of batik, would be satisfied to choose the collection that is provided here with a friendly and professional service. Has a large parking area and will not interfere with highway traffic if Batik Galuh visited by tourists. 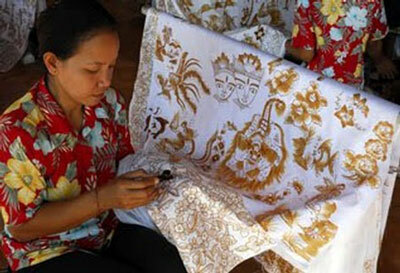 Want to hunt Batik in Bali? Not to be confused or worried. 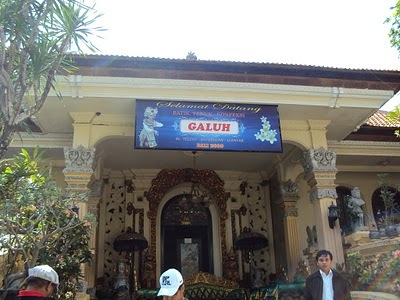 Please come directly to the most appropriate places to hunt in the beautiful of Batik Galuh. Galuh Batik is a typical Balinese Batik weaving. Ranging from Batik clothing women, men, bags, sandals, even with Batik accessories available here. Excess woven Batik made in this place is because Batik is not created by using machines. 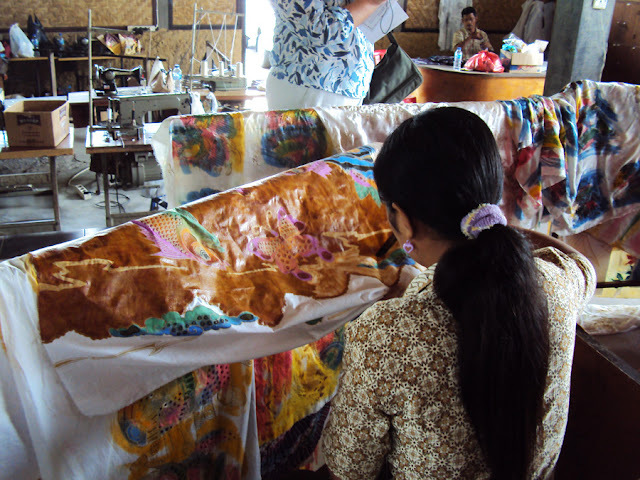 Batik is made here, directly woven by craftsmen who have been equipped with special skills. This is exactly what the making of Batik here is unique and beautiful. With a friendly and professional services, sellers Batik Galuh gladly serve every visitor who comes. Interested in hunting this Balinese Batik weaving? If so, just come to Banjar Tegehe, Batubulan, District of Sukawati, Gianyar regency, Bali. Get ready to hunt and pretty batiks there. Happy shopping. having idea for next topic for this Things to do in Bali blog ? feel free to tell us..!